This is my buddy Capt. Eric Wrenn with one of eight (yes, eight) permit he caught in one day last week near the north end of Pine Island. All of these fish were in shallow water and hit live shrimp. While they're very common on our reefs and in deeper waters, catching permit on the flats anywhere in Florida other than the Keys is quite rare. The shallows of Pine Island Sound and Matlacha Pass actually hold a lot more of these fish than most people realize. Local biologists working for FWC have netted permit by the hundreds in the last year while doing inshore fish counts. I've personally seen them following manatees in Charlotte Harbor and tailing after crabs in Buzzard Bay. Another friend and local guide, Capt. 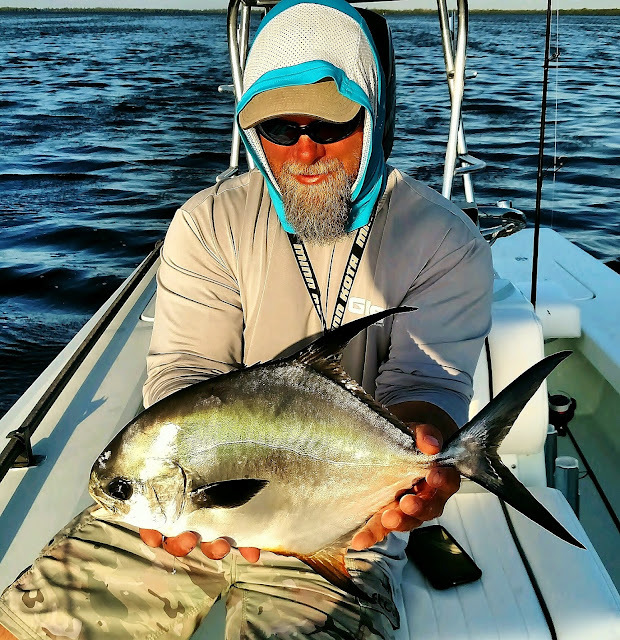 Joe Harley, had anglers land three permit on fly last fall from the flats of Pine Island Sound. In other words, I'm hoping that this is the result of an upswing in their population and will be the start of a continuing trend. Catching eight permit in one day is a real accomplishment no matter where you're fishing. On my best trip ever down in Key West, which is Ground Zero for this species, we landed five using live crabs. So yes, Capt. Eric got a bit lucky last week and found a very hungry school, but he's also a great fisherman and routinely hauls in something impressive. He's also one of the few Pine Island guides who really understands fly fishing, so if you'd like to book a trip give him a call at 336-601-7874. Tell him I sent you but don't expect to land eight permit. I can't get enough of these excellent short films that my buddy Chris Helt put together for the new BT website. He shot part of this video for the 16' Micro here on Pine Island on a very cold morning last December, with a strong east wind and a negative low tide. The boat handled the open water chop and ankle deep flats with no problem. The drone shots from down in the Everglades are fantastic and really show what this small skiff is all about. Beavertail Skiffs: Micro from Beavertail Skiffs on Vimeo. Great time on the water Friday morning with the Brennan family from Massachusetts. The two boys Jack and Logan hauled in the trout all day and then helped dad Rich and grandfather Rich Sr. bring in a couple of slot legal reds for the family fish fry. We also landed and released an undersize snook to complete the Inshore Slam. All of these fish were caught within two miles of the Matlacha bridge. The water out there is beautiful and full of life. It could be a little warmer but other than that I have no complaints about how the season looks so far. Here's the latest video from Spooled Reels Films featuring the all new 18 foot Beavertail Air. This was shot down in Key West over the first weekend of March and was a great couple of days with this boat in its natural environment. 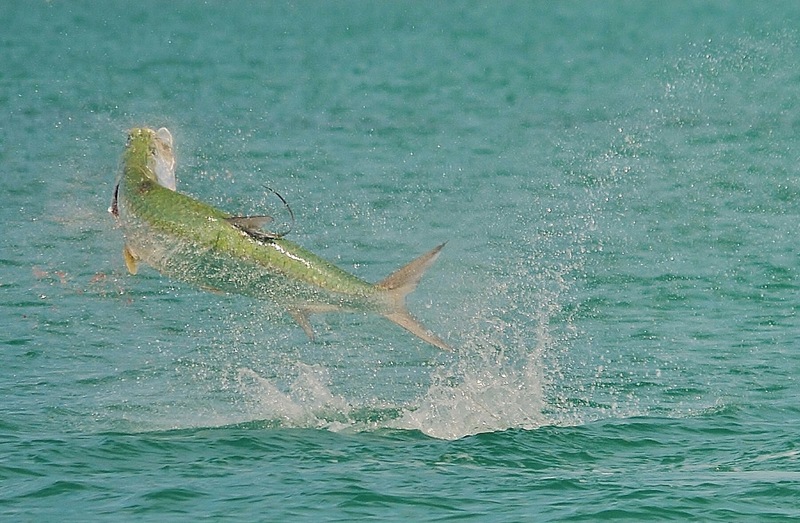 I'm really hoping to see a much longer version of this since some of the tarpon action down there was really amazing. Beavertail Skiffs: Air from Beavertail Skiffs on Vimeo. This has been out for a while but I really love watching it. Chris Helt from Spooled Reels did another amazing job with this short film showing off the awesome 17 foot BT Strike in action. Beavertail Skiffs: Strike from Beavertail Skiffs on Vimeo. I love these fish more than almost anything that swims. Jack Crevalle are violent, indiscriminant predators and if they were a bit more edible they'd be the greatest game species ever. Angler North Goodwin landed this five pounder on a Gulp Shrimp after casting into a blitzing school in Matlacha Pass. This was a day saving catch since the wind and negative-low tides made sight casting to snook and reds a real chore. Way to go, North.